These little beauties are a beautiful color and will keep you full for hours after eating just one serving. Whisk flour, sugar, baking powder, spices and salt in a bowl. In a separate bowl whisk together milk, pumpkin, melted butter, and egg. 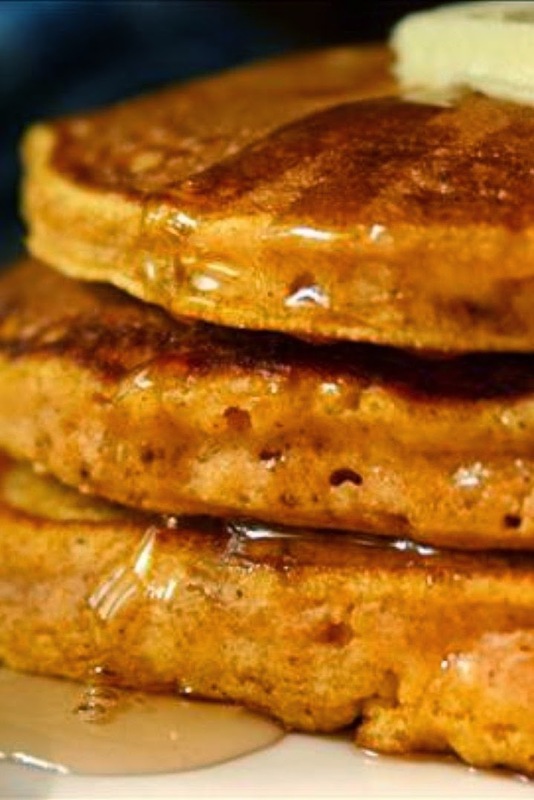 Spray or grease a skillet and heat over medium heat: pour in 1/4 cup batter for each pancake. Cook pancakes about 3 minutes per side. Serve with butter and syrup. Makes about six 6-inch pancakes.